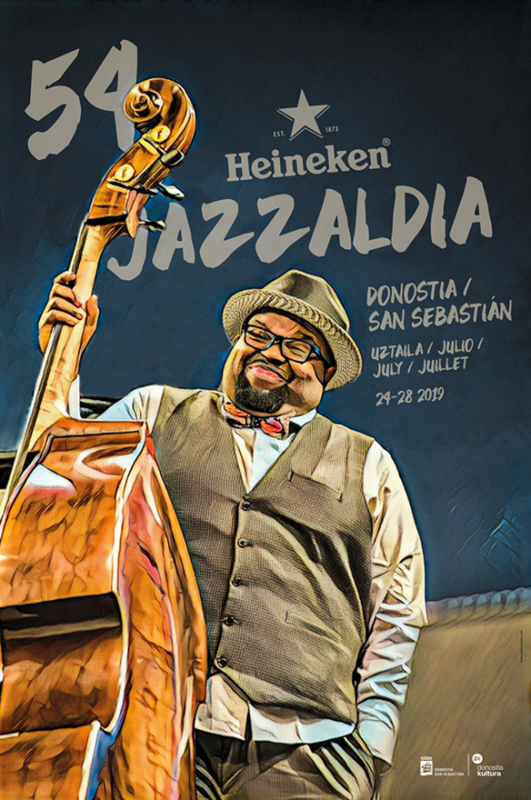 The 53 Heineken Jazzaldia, to take place in San Sebastian from July 25th-29th, now has its poster, work of the graphic designer José Luis Lanzagorta. The author has chosen to use the neck of a double bass, considering it to be one of the instruments that best describes the jazz universe. Its outline represents the swing – with its curved, suggestive lines, packed with rhythm, while maintaining the full elegance of its classicism. To select this year’s poster, the Heineken Jazzaldia organised a contest restricted to a number of designers and artists, just as it did last year. Graphic designer, founder in 1991 of the Lanzagorta Studio in San Sebastian, with clients above all from the world of art and culture. Some of his most noteworthy works are creation of the graphic image for exhibitions including Badu, bada and Atarian, for art centres like Tabakalera or the Bastero Kulturgunea, and a number of publications for institutions such as Koldo Mitxelena Kulturenea, the Classical Music Festival, Kursaal Foundation, Donostia Kultura and Heineken Jazzaldia, among others. In 2014 he launched the Begiaundi Press project, a workshop on graphic experimentation and research for the production of limited runs of editions in the printed press. Lanzagorta has already designed some of the best-remembered Heineken Jazzaldia posters, namely in the years 1989, 1990, 1999, 2000, 2001, 2002, 2005, 2006, 2007 and 2008. A part-time musician, for several years he has been participating in different projects within the world of local pop music, being a founder member of the Orquesta Mondragón, Puskarra and, currently, of Amateur, after having been a member of Amor a Traición and La Buena Vida. 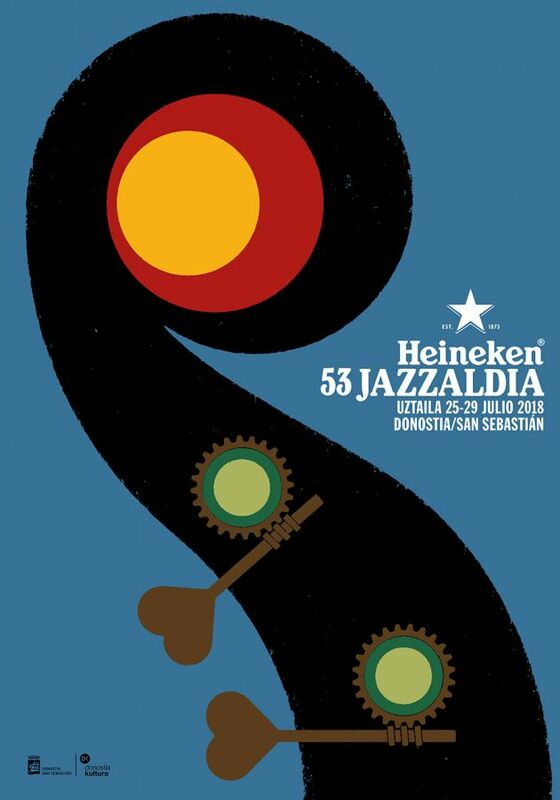 Share the post "Graphic designer José Luis Lanzagorta, author of the 53 Heineken Jazzaldia poster"